If you can customize your Linux's icon theme, you can also customize your mouse's cursor theme. 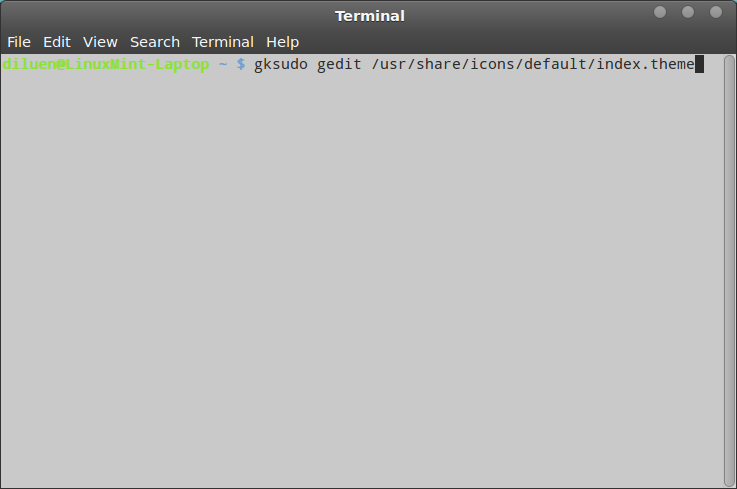 Here in Linux Mint I will show you how you can simply change your system's cursor theme and get rid of the annoying cursor theme bug that most Linux systems have. Firstly as always, head over to Gnome-Look and browse through all the cursor themes under the "X11 Mouse Themes" section. 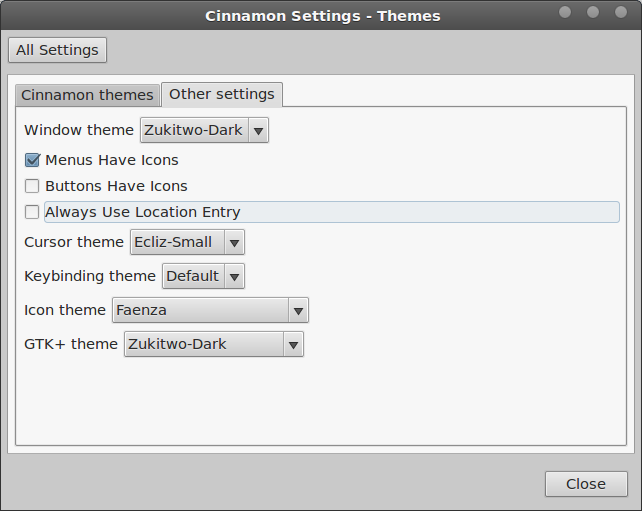 These themes are universal and can be used on Linux systems that use the X11 window system. One you have downloaded your theme, extract it and open up your home directory. In the Other Settings tab, you should see "Cursor theme"
Restart your computer or do a Alt+F2 with r. You can also try logging out and back in again to see changes. So all is going well until you notice that although your main mouse pointer has changed, other states such was "Waiting" or "Loading" revert back to the default theme. This bug is quite annoying and still haven't been fixed. Locate your mouse theme you want to be enabled in your system by navigating to the directory of where your mouse theme is stored. This could be the ".icons" folder in your home directory. Make note of the exact name of your mouse theme's folder. It should display "Inherits=DMZ-White" or something similar. Edit the "DMZ-White" part to your theme's exact name. Reload your window manager by doing a Alt+F2 and r or simply restart your computer. Your mouse theme should be applied completely! Changing mouse cursors properly takes a small amount of time to do but it is worth it. Linux also allows you to customize the system even more than just your mouse theme, icon themes, and windows themes. You can also customize the window manager of Linux Mint using it's MDM display manager. I will go into detail about MDM later on.